This course is a comprehensive study of Project Management principles and the body of knowledge. Students will learn about the process groups and knowledge areas. The program introduces the practical insights and techniques that can be applied in managing projects, total quality management, continuous improvement programs, and the drive to radically redesign business processes, integrated view of project management, effective business communication skills, strategic or organizational skills, recruitment and staffing concepts and techniques. 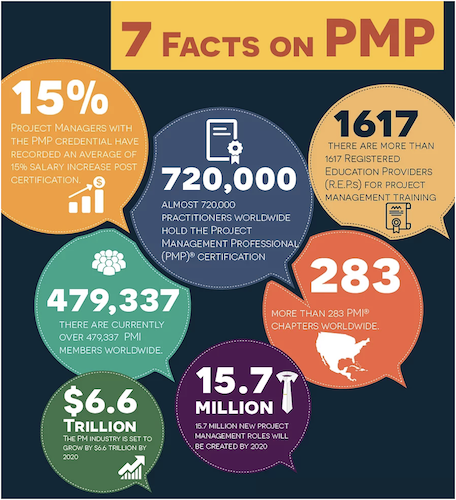 Although certification is not required, completion of this program and meeting other academic and experiential requirements, prepare the professional who would like to obtain the Project Management Professional (PMP) certification. American Heritage College awards The Certificate in Project Management Training to students who successfully complete five courses—four required and one elective of the program. This program is taught in the English language; therefore, international students interested in enrolling shall show proof of proficiency by submitting high school diploma or GED. International students and students not proficient in English may be required to take the ESL offered by American Heritage College.